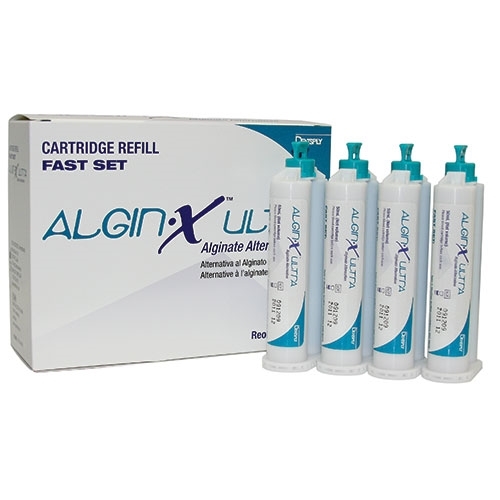 Algin-X Ultra is a great alginate alternative, coupled with the convenience of an automix delivery. It offers 14-day dimensional stability, thus it is able to pour and re-pour easily. In addition, Algin-X Ultra has a fast set time! Offers valid from April 1 through June 30th, 2019. TO REDEEM YOUR FREE GOODS:E-Mail your invoice noting promotional code(s) and free product(s) desired to: Caulk-Redemptions@dentsplysirona.com or fax to Dentsply Sirona Restorative, 1-800-788-4110. Limit 5 redemptions per Doctor. These offers may not be combined with any other Dentsply Sirona offers or contract agreements. Free goods fulfilled through Dentsply Sirona Restorative. Offers valid in the 50 United States only.